If you are looking for an affordable Saskatchewan community to live in with all the amenities to meet your needs, then consider Regina’s Albert Park! This beautiful southern Regina neighbourhood is a wonderful place for those in any stage of life, particularly for young families. Albert Park is the second largest neighbourhood in Regina and is filled with an overwhelming number of entertainment and dining options. Most of these amenities can be found along the trendy and bustling Albert Street, a popular street filled with shops and restaurants. No matter what your personal taste is, there is guaranteed to be something that suits your style in the charming neighbourhood of Albert Park. This neighbourhood is extremely family-focused and offers a large number of services and activities for all ages. The Albert Park Community Association has a wide variety of programs, including tennis lessons, fitness classes, and even a ‘Engineering for Kids’ course. The Albert Park neighbourhood is also home to over 8 different schools from grades 1-12, as well as the George Bothwell Library. Albert Park features a few local green spaces including Realtors Park, Cameron Park, and the Regina Rugby Park. One of the most popular places in Albert Park is the Southland Shopping Center, located in the south-eastern part of the neighbourhood. This mall is filled with over 90 different retailers including a Cineplex movie theater, a Safeway grocery store, and 15 different restaurants including the Chop Steakhouse and Bar. Albert Park is also home to the Golden Mile Shopping Center. This center houses stores and local services like the Regina Public Library, GoodLife fitness, Original Joes, and much more! Need a moment to unwind, recharge, and sip on some freshly brewed coffee? The French Press Coffee and Tea co. in the north of Albert Park is just the place! This local café serves freshly baked pastries, delicious drinks, and has a comfortable European-styled environment. If you are looking to further your relaxation and enhance your beauty, then the Shear Escape Salon and Spa is where you need to go next. This full-service salon and spa offers a number of services including hair extensions, styling, manicures and pedicures, make-up, eyelash tinting, facials, and wedding appointments! Albert Park is a family-friendly neighbourhood, therefore you need access to stylish kid’s clothes! Justice is a girls clothing store that has the most fashionable clothing, undergarments, shoes, and accessories for tweens. After a long day at work, you may just take the night off from making dinner and go out instead. Why not try Greko’s Restaurant and Steak House? This authentic Greek dining experience includes traditional Greek dishes such as souvlaki, moussaka, kabobs, and other Greek delicacies. The family owned restaurant has been around since 1979 and is beloved by those living in the Albert Park neighbourhood and beyond. This neighbourhood is a wonderful location for families, university students, and for those looking to be outside the city central but still immersed in community life. This neighbourhood is perfect for those who need to commute to the University of Regina (only 10 minutes away by car), or for those working in downtown Regina (only a short 15 -minute commute by car or a 25-minute drive by transit). For anything else you require, additional amenities can be found just west of the community in the Harbour Landing neighbourhood. 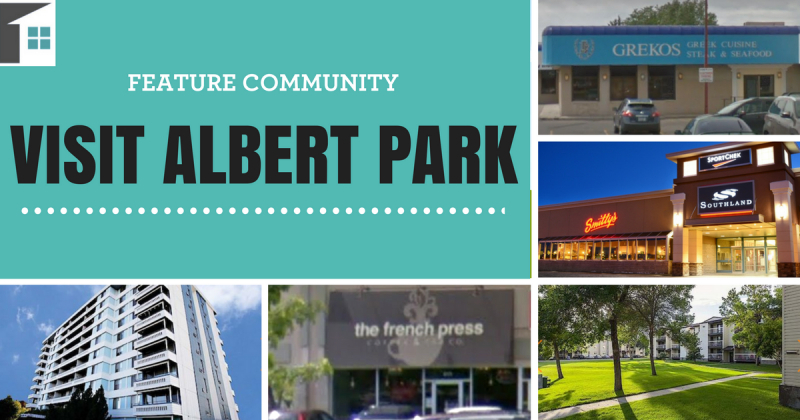 If you are looking to rent in an area that has access to everything you could possibly need: schools, shops, parks, shopping malls, and the downtown area, then Albert Park is the neighbourhood for you! There are currently 111 rentals available in the area with an average listing price of $956. 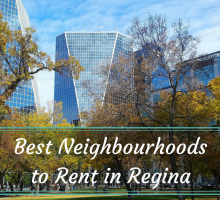 Consider moving to Albert Park in Regina and live near everything you need and more! 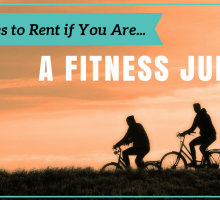 Visit Rentfaster.ca for further details and to view the listings currently available! French Press Coffee and Tea co.